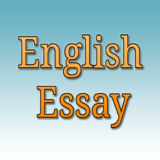 Essay, Paragraph or Speech on “An Ideal Student” Complete English Essay, Speech for Class 10, Class 12 and Graduation and other classes. Essay, Paragraph or Speech on “The Ideal Teacher” Complete English Essay, Speech for Class 10, Class 12 and Graduation and other classes. Essay, Paragraph or Speech on “Farewell Party” Complete English Essay, Speech for Class 10, Class 12 and Graduation and other classes. Essay, Paragraph or Speech on “The Children’s Day” Complete English Essay, Speech for Class 10, Class 12 and Graduation and other classes. Essay, Paragraph or Speech on “The Independence Day” Complete English Essay, Speech for Class 10, Class 12 and Graduation and other classes. Essay, Paragraph or Speech on “The Republic Day” Complete English Essay, Speech for Class 10, Class 12 and Graduation and other classes. Essay, Paragraph or Speech on “Janmashtami” Complete English Essay, Speech for Class 10, Class 12 and Graduation and other classes. Essay, Paragraph or Speech on “Karva Chauth” Complete English Essay, Speech for Class 10, Class 12 and Graduation and other classes.